The poet Paul Celan was born Paul Antschel in 1920, in the city of Czernowitz, former capital of Bukovina, an autonomous Hapsburg province. His family belonged to a Jewish community that had grown in strength and number over nearly 150 years of Austrian rule. The Paris Peace Conference of 1919 assigned the region to Romania. In 1940, as a result of the Hitler-Stalin pact, Czernowitz was occupied first by Soviet troops then, with the collapse of the Pact, by German and Romanian forces. In 1944 northern Bukovina, including Czernowitz, was annexed by the Soviet army to the Ukraine, of which it still remains part. After visiting France as a medical student in 1938, he returned to Czernowitz in 1939 to take up the study of Romance languages and literatures. After the outbreak of war the Antschel family continued to live in the city until 1942, when both parents were deported to a concentration camp in the Transnistria region of the Ukraine. 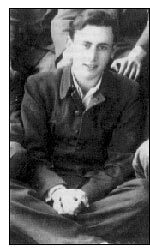 Celans father died of typhus there, and his mother was shot when she became unable to work. The son was conscripted into a series of Romanian labor camps between 1942 and 1944. After the war Celan emigrated to Bucharest, where he worked as a translator from Russian into Romanian, and in his poems first deployed the name Celan, an anagram of Ancel, his Romanian surname. He escaped from Bucharest to Vienna in 1947 and in 1948 published his first collection of poetry (Der Sand aus den Urnen) which he immediately withdrew because of printing errors. Later that year he moved to Paris, where he taught German Literature at the École Normale Supérieure. In 1952 he married the graphic artist, Gisèle de Lestrange. In 1958 he was awarded the Bremen Literature Prize, and in 1960 the Georg Büchner Prize, Germanys highest literary award. The brief speeches he made on these two occasions constitute Celans principal statements on his poetry. During his poetic career he published seven major volumes of poetry, and he left unpublished a large number of late poems. In 1969 he made a long-deferred visit to Isreal, and in April of 1970 he committed suicide by drowning in the Seine. 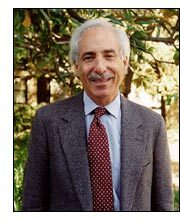 John Felstiner is Professor of English and Jewish Studies at Stanford University. His sustained devotion to the life and work of Paul Celan, his scholarly brilliance and industry, together with an uncanny empathy and poetic sensitivity, have earned him a deserved reputation as an authority on Celan. 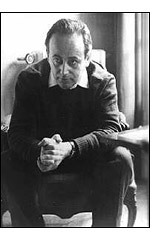 His publication in 1995 of Paul Celan: Poet, Survivor, Jew, combined a detailed view of Celans life experience with his production of poetry, in what George Steiner hailed as the finest approach to the Celan-World so far available. By locating the spare, enigmatic poetry in a rich biographical context Felstiner traced themes and images through Celans entire oeuvre in ways no one had done before. 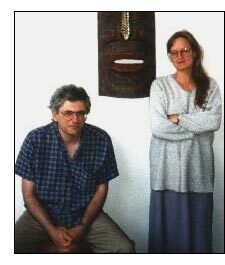 The work was nominated for a National Book Critics Award and chosen as a best book of 1995 by Choice, Village Voice, Times Literary Supplement and Philadelphia Inquirer. This was followed in 2001 by his masterful translations in Selected Poems and Prose of Paul Celan, the most wide-ranging bilingual volume of Celan to be published so far. According to Felstiner,  because Celan's poems deal strongly with loss in the very language that affected loss, any act of translation turns questionable, further alienating the poet's voice from the tongue he could hold fast to. Unless, perhaps, we recognize translation as the specific art of loss and work from there. Felstiner translates brilliantly, as attested by John Bayley in the New York Review of Books, bringing us closer to Paul Celans tormented and melodious universe (Elie Wiesel). Nikolai Popov is Professor of Comparative History at the University of Washington in Seattle. An eminent translator and Joyce Scholar, he co-translated with the poet Heather McHugh a collection of the poems of Blaga Dimitrova. McHugh is Milliman Distinguished Writer-in-Residence at the University of Washington. In addition to six acclaimed books of poetry, including The Father of the Predicaments, and a collection of essays, Broken English: Poetry and Partiality, she has translated poems by Jean Follain and Euripidess Cyclops. Most recently this scholar-poet team has produced a new volume under the title Glottal Stop: 101 Poems by Paul Celan (Wesleyan, 2000). Winner of the prestigious Griffin Poetry Prize, this collection has received universally high praise for its combination of linguistic facility and scholarly notes and annotations. This new selection of translations of Celans poems focuses on previously untranslated work and opens up facets of his oeuvre never before available to readers of English. These translations, called perfect in language, music, and spirit by Yehuda Amichai, work from the implied premise of what has perceptively been called Intention auf die Sprache, delivering the spirit of Celans workhis dense multilingual resonances, his brutal broken music, syntactic ruptures, and dizzying wordplay. For over eight years the team collaborated on their intensely informed translations, and the results are as moving as they are meticulous. Paul Celan is arguably the most important European poet of the twentieth century, but much of his work has seemed too hermetic, linguistically complex, and bound to his struggle with the German language in the aftermath of the Shoah to be translatable. In Glottal Stop, however, in the words of the Griffin Poetry Prize Citation, Heather McHugh and Nikolai Popov have achieved the seemingly impossible: more than translating Celan into English, they have found a way to translate English into Celan. The solutions that Popov-McHugh find to the problems set by Celan are dazzlingly creative (J.M. Coetzee, New York Review of Books). They have the bold music and expressionistic syntax that Celans unique voice demands. The compounds and stretches and sound-tangles bring a startling poetic life to English (Robert Pinksy).